Chef Huang from Guangzhou China has been a chef in preparing authentic dishes for over a decade. He specializes in preparing the best Chinese stir fried cuisine. When he used to run his own restaurant, he was recognized in the "Top 100 Chinese Restaurant" in the US by the Chinese Restaurant Foundation. Chef Wang is from Tinjian China and started cooking at a young age at a local restaurant. In over 15 years of cooking, he acquired a lot of recognition and experience with the Chinese wok. His passion and dedication make him a master of authentic Chinese and Szechuan cuisines. 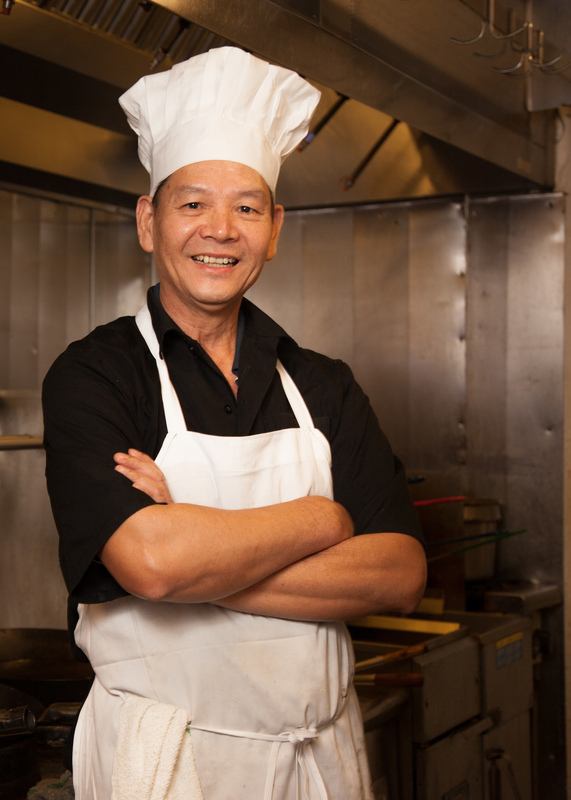 Chef Luo is from Szechuan China and has owned and operated his own restaurants in China. With a great sense of detail, Chef Luo has created all the sauce and spice recipes for Jun Dynasty.